Regardless of the industry you’re in, social media marketing can be an extremely overwhelming undertaking. For those in the construction business, it can be an entirely foreign concept. 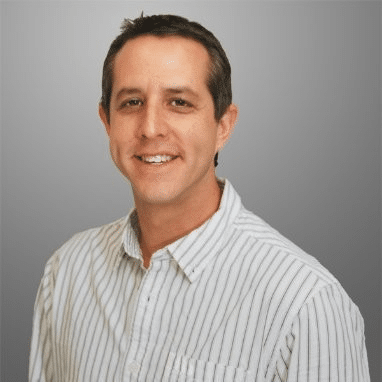 Since your core business doesn’t directly relate to surfing Facebook and snapping photos for Instagram, it makes sense to create a streamlined process for maximum impact and a limited time investment. Before getting into practical strategy, it’s a good idea to recap some of the basic Do’s and Don’ts of social media content. Always project a professional image of your company. Beer cans in a photo at a work site is a giant no-no. Funny memes are cute, and can get great engagement, but shouldn’t act as the bulk of your content (especially if they’re not relevant). Always include a visual in the content you share. People process visual content much faster than text, and also tend to engage with visuals at a higher rate than text only. If you don’t count image creation as a strength within your business, and don’t have a graphic designer at your disposal, check out this article about social media image design for non-designers. It would be impossible to detail every little thing that you should keep in mind when creating your social media content. But the most important thing is to trust your own intuition. In general, if something makes you hesitate, you probably shouldn’t post it. An important fundamental element of content creation is truly understanding the audience it aims to reach. Unfortunately, many brands (construction and otherwise) ignore this critical step, and jump straight into their social media posts. By clearly defining your audience, you can always ask the question, “Would my audience appreciate this?”. How old are they? A range is fine. Do they tend to skew male or female? What’s their geographic location? Make sure it coincides with where you do business. It’s worth mentioning that by being too general, you won’t reach anyone. Take the time to understand the personas of the customers you’re going after. 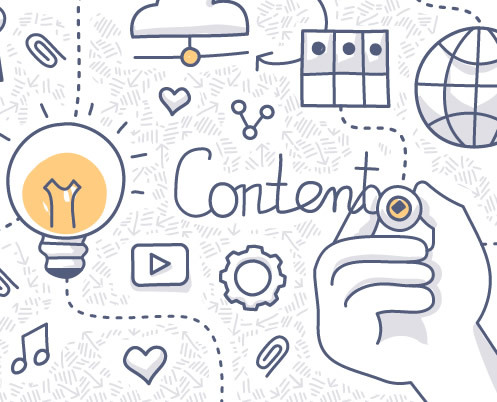 Once you have a good idea of your audience and ideal customer, it’s time to start thinking about the specifics of content creation. One of the most effective ways to simplify the creation of a social media content calendar is to develop daily themes. The purpose of these daily themes is primarily to make the process of generating content easier. However, it also helps to ensure variety and consistency with your social posts. Customer testimonials are an excellent way to influence prospects with social proof. By seeing someone else say something nice about your business, a new client is more likely to act than if you were saying it. Customer testimonials can actually act as two separate posts. The first post can share a previous client’s positive experience, and the second post can be a call to action asking someone to write a review. Make sure to direct people where you’d like reviews – Houzz, Google+, Yelp, etc. Featuring a client’s project on one of your planned content pieces accomplishes a few different things. On one hand, it shows that your business is busy and successful. On another hand, it helps a potential client imagine themselves in this past customer’s shoes. If you talk about a client and their project on your social media channels, just make sure you have the necessary permissions to do so. If a picture speaks 1,000 words, then a post that shows your successful results on a job is a beautiful novella to prospects. People react best to advertising that features other people. There’s something about human nature that responds really well to faces. By regularly featuring employees on your social media, you also give your audience a behind-the-scenes look at your company. People crave the inside scoop! Finally, by giving your employees a chance at the spotlight, your content is likely to be shared by them, and reach a larger audience. Win-win-win! The services your construction company provides may be obvious to you, but you shouldn’t assume the same level of knowledge from your audience. Although social media shouldn’t be all about selling, it’s expected that you’ll be promoting your company at least some of the time. Plan some content around the different types of services you provide, with a call to action to get more information, or a website link to learn more. Connect the dots for customers who don’t know the finer details of the different types of construction services you offer. At any rate, questions are a great way to boost engagement, so long as they are thoughtful, interesting, and relevant. Creating content for the holidays can be easy – you can just write copy to the effect of Happy [whatever holiday it is] from [your company], and create a festive image to match with your logo watermarked on it. Besides holidays, it can be a smart move to also chime in current events and entertainment. Use Meltwater’s Sidekick to know about National [fill in the blank] Day before it happens! Don’t neglect the potential benefits that could come from engaging with other local businesses and events. Consider trading posts with other complementary businesses so that you can both get exposure to new audiences. Once you’ve created a list of daily themes that you’re happy with, it’s time to create a structure around them. A content calendar can help you accomplish this. Besides helping manage social media content, a good content calendar can also help you plan newsletters and blog content. A content calendar helps ensure message consistency through planning. Creating a content calendar is not as complicated as it sounds! HubSpot has created a free resource, a social media content calendar template, that can easily be customized for your construction business. 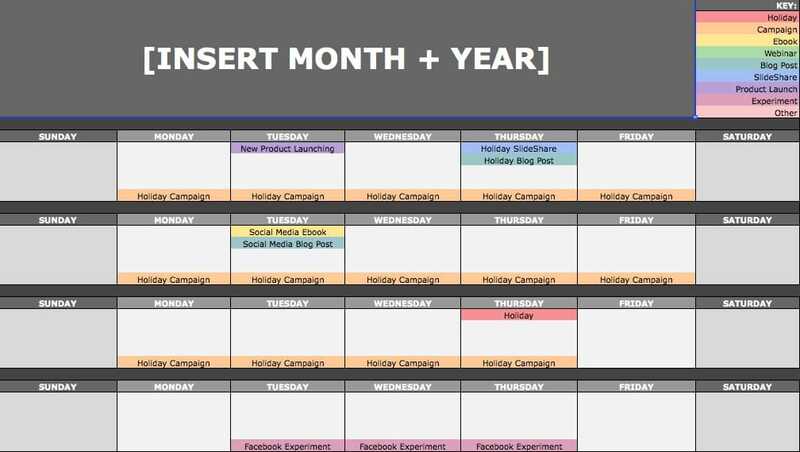 If you don’t have the time or effort required to plan content out as far ahead of time as our content calendar template has provided room for, you might instead opt to load up social posts directly onto social media scheduling tools such as Hootsuite, Buffer, or Sprout Social. Although the pros and cons of each platform are beyond the scope of this article, each is an excellent tool for social media management. 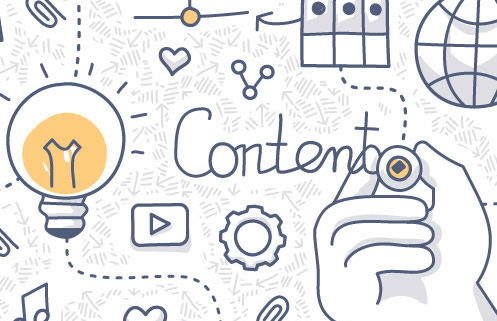 It’s quite difficult for any company to be creating 100% original content on a regular basis. To reduce your workload (and stress), it makes a lot of sense to curate content as part of your social media strategy. Content curation is simplifying posting and sharing articles created by someone else. Nuzzel connects with your Twitter account and sends a daily digest email of the most popular stories your audience is sharing. A disclaimer – this is only helpful if your audience is primarily made up of accounts sharing content within the same industry. Twitter lists are another effective tactic for easy content curation. Identify industry experts (this could be as simple as another construction company) and thought leaders, then add them to a Twitter list to easily check in on what they’re posting. Twitter allows you to make these lists public or private. Another excellent tactic to fill up your social media content calendar is to reshare content that has performed well in the past, or content that is not specific to any particular time of the year. Content that is always relevant is called evergreen content. Again, Buffer is an excellent tool for resharing content. The “Re-Buffer” button allows you to add top performing content back into your posting queue, and the provided analytics information allows you to determine how effective it was in the first place. If you’re using WordPress, Tweetily is an ingenious plugin that connects with Twitter to continuously repost old blog content, driving new links to your website without any additional effort. It hasn’t been updated in awhile, but it still works like a charm with dozens of customization options. All of the following tools can help with automation and organization of social media content. Archie takes the hashtags you feed it (after conducting hashtag research) and automatically likes posts on Twitter and Instagram that use those hashtags in real time, on your behalf. It’s a bit of a grey area tool (technically against Instagram’s terms of service), so proceed with caution. Hashtags might correlate to the construction industry, your service area, or ideally, a combination of both. Grum is another grey area tool, but it allows you to completely schedule and publish Instagram posts without additional input (Hootsuite and Buffer allow you to “schedule” Instagram posts, but ultimately make you approve the post with a notification that pops up at the time you scheduled, before it goes live). Buffer, Hootsuite, and Sprout Social are all excellent options for scheduling social media content and for generating analytics information. They can also help you optimize posting times to get the most possible eyes on your content. Another way to cut down on the effort required in social media management is to split up tasks among staff members, depending on each person’s strengths. Plan your social media content calendar around the strengths (and weaknesses) of your team. Once you create an efficient process, planning your daily social media content calendar can honestly take less than an hour a week. Considering how effective social media can be for branding and driving leads, an hour each week is definitely time well spent! Do you have any questions about how to easily fill up your social media content calendar that weren’t answered in this post? We’d love to help you solve your problems! Leave a comment and Contractor Gorilla and the social media-savvy members of our audience will help you.